There's a new board chairwoman at the College of DuPage, and she wasted no time making changes. In a contentious first vote on Thursday, April 30, the new majority of reform trustees voted 4-3 to put the school's controversial president, Robert Breuder, on paid administrative leave. Carol Marin talks with COD board chairwoman Kathy Hamilton, trustee Joseph Wozniak, and Chicago Tribune's Jodi Cohen about the board's new direction. 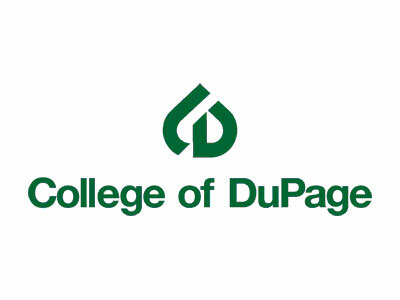 In January, the College of DuPage approved a controversial $763,000 severance package for COD President Robert Breuder, who has led the college since 2009. Kathy Hamilton was the lone trustee to vote against the buyout that would terminate Breuder’s contract next spring –three years ahead of his contract. According to the Chicago Tribune, negotiations with Breuder began last April and a tentative deal was reached in December, but those conversations were never discussed publicly. The severance package was listed on the Thursday, January 22 agenda as a “fourth addendum,” to the president’s contract. Officials did not provide documents associated with the vote before its approval. On Wednesday, January 28, the College of DuPage Board of Trustees held a special meeting in which they reaffirmed Breuder’s controversial buyout in a 6-1 vote. The do-over vote came less than a week after the original vote, “because of a ‘procedural’ error, which sparked widespread criticism over the amount of the agreement and a lack of transparency at the publicly funded community college in Glen Ellyn,” the Tribune reported. After the approval of the severance package, the Chicago Tribune reported that Breuder and senior managers at the community college spent nearly $190,000 at Waterleaf (the campus’ high-end restaurant) on about 500 occasions, which included hosting community members but often consisted of meeting with each other over lunch, dinner, and drinks. The tab for those meetings and events were paid for by the college. The Tribune also reported that the restaurant has lost close to $2 million since it opened three years ago and could lose more than $500,000 this fiscal year. In March, COD trustees announced they would investigate alcohol expenses paid for by the college. The Chicago Tribune reported that the school’s policy prohibits the reimbursement of alcoholic beverages, while records show that Breuder expensed alcohol at Waterleaf at least 15 times last year, totaling more than $3,500. “Breuder has reimbursed the college $833 charged to his Waterleaf account since 2012, including alcohol purchases,” according to the Tribune. By the end of March, DuPage County prosecutors opened an investigation into spending at the College of DuPage, and a DuPage County grand jury issued three federal subpoenas to the college, seeking records related to Breuder’s contract, expense, and no-bid jobs awarded to a school fundraiser, according to the Tribune. In the April 7 election, three “clean slate” candidates: Deanne Marie Mazzochi, Frank Napolitano, and Charles Bernstien won seats on the board.